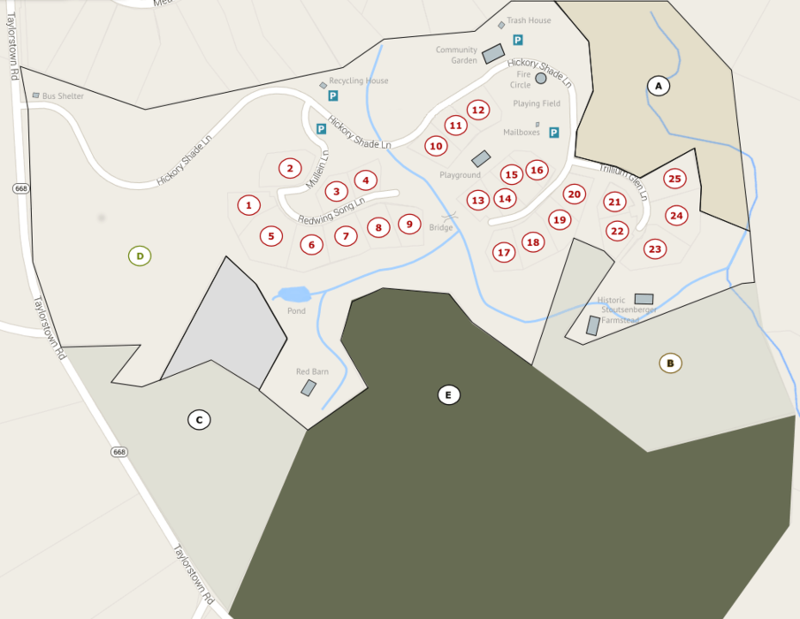 This map shows all lots in EcoVillage in an overview, and will help you locating the lots that are currently for sale. It also shows the infrastructure items, and the creeks in an overview. For additional information about EcoVillage, please have a look at the About EcoVillage section, especially the “Amenities” page.